DUBAI, United Arab Emirates — As every country across the Mideast does with its leaders, it's hard to escape posters and laudatory fawning over Saudi Crown Prince Mohammed bin Salman in the kingdom. For activists, opponents and others willing to speak out against the 33-year-old heir apparent in the world's largest oil exporter, it looks increasingly like it's hard to escape his reach either at home or abroad. 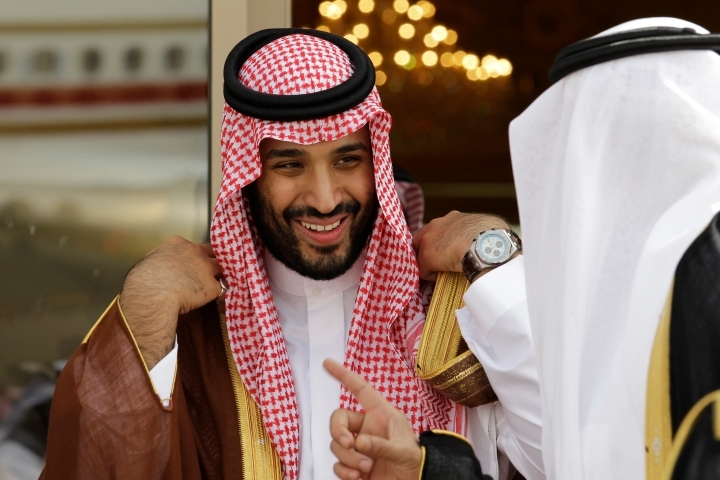 The kingdom long has been known to grab rambunctious princes or opponents abroad and spirit them back to Riyadh on private planes. 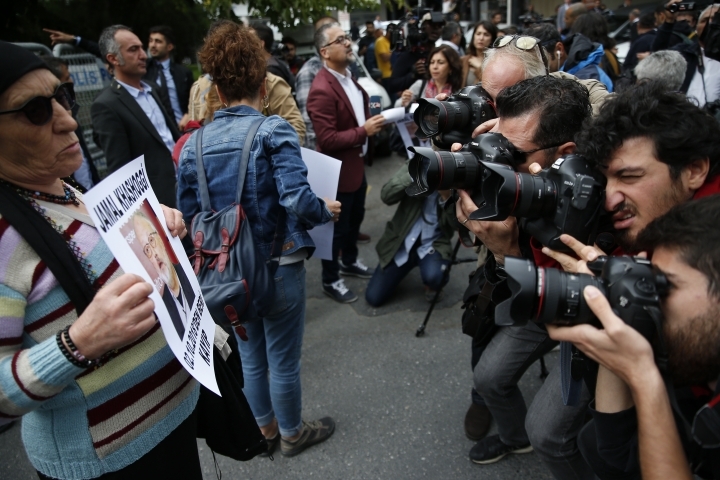 But the disappearance of Washington Post contributor Jamal Khashoggi, who Turkish officials fear has been killed, potentially has taken the practice to a new, macabre level by grabbing a writer who could both navigate Saudi Arabia's byzantine royal court and explain it to the West. The disappearance also peels away a carefully cultivated reformist veneer promoted about Prince Mohammed amid the kingdom allowing women to drive, instead exposing its autocratic tendencies. "I'm not Gandhi or Mandela," the prince told CBS in March when describing his personal wealth. 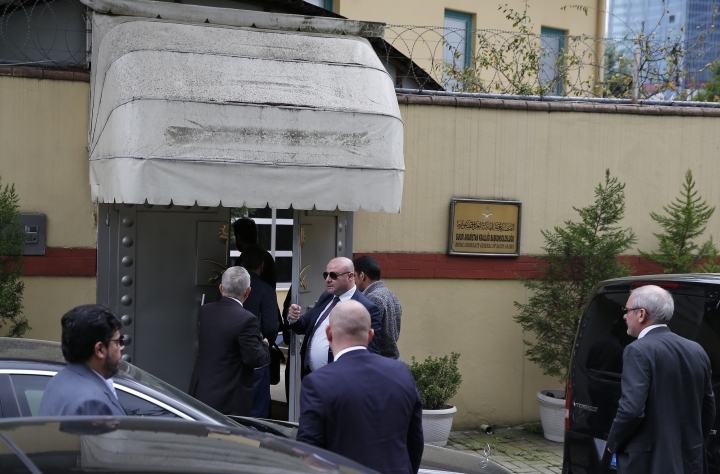 Saudi Arabia insists the allegations it faces over Khashoggi's disappearance are "baseless," but has not offered any evidence over the last week to support their claim he simply walked away and vanished into Istanbul though his fiancée waited just outside. 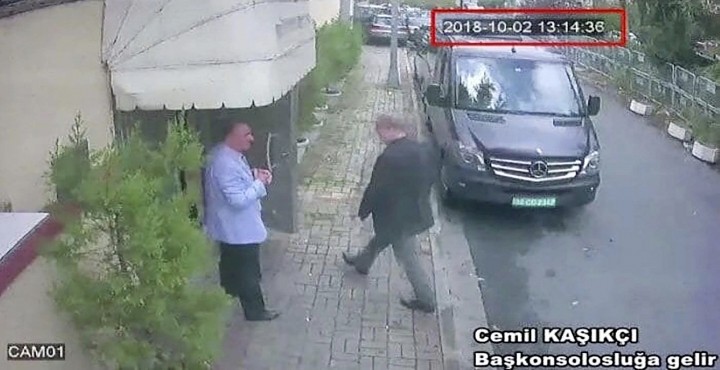 Nor has Turkey fully explained why officials fear Khashoggi has been killed. 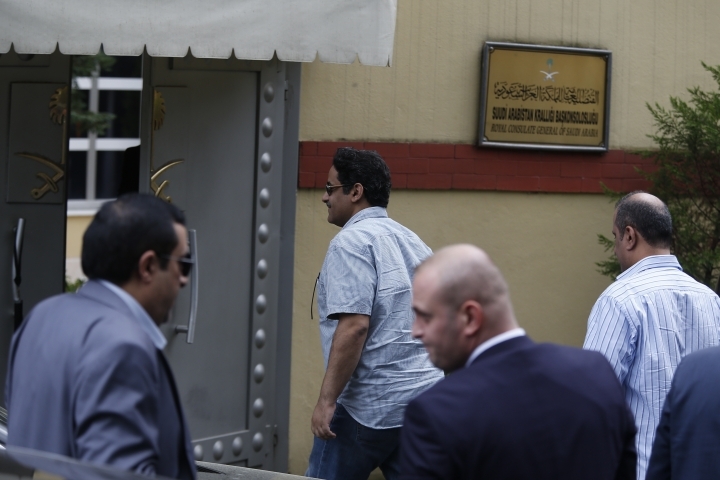 Prince Khalid bin Salman, the Saudi ambassador to the U.S., sought to convey sympathy with carefully moderate criticism in a note to friends in English the embassy shared with reporters. "I would normally prefer not to address such outrageous claims, especially when it concerns the wellbeing of a missing citizen who dedicated a great portion of his life to serve his country," Prince Khalid wrote. "It goes without saying that his family in the kingdom remain gravely concerned about him, and so are we." That sharply contrasts with the tone taken by Saudi local media, as well as Saudi-owned satellite channels and other broadcasters. There, newspapers have called Khashoggi's disappearance a plot ginned up by Qatar, who the kingdom has been boycotting with three other nations since last year. Al-Jazeera, Qatar's state-funded broadcaster, has focused extensively on the case in recent days. 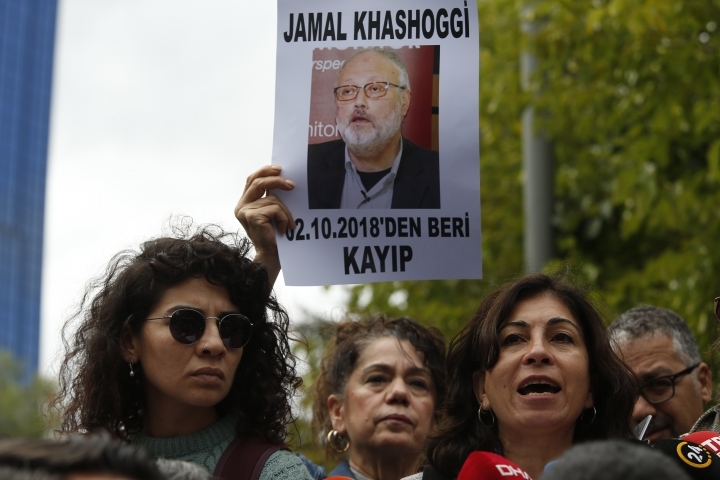 Online, the smears have been worse, describing Khashoggi as an al-Qaida supporter for the interviews he did with Osama bin Laden in the years before he turned firmly against the West and plotted the Sept. 11 terror attacks. Khashoggi, apparently with royal court support, once even sought to have bin Laden return to the kingdom and renounce terrorism. That harshness corresponds with the growing concerns internationally about the direction Saudi Arabia is taking under Prince Mohammed and his father. The kingdom won international praise for allowing women to be able to drive in June. But just ahead of that, the kingdom rounded up and imprisoned women's rights activists, including reportedly grabbing one who was in the neighboring United Arab Emirates. 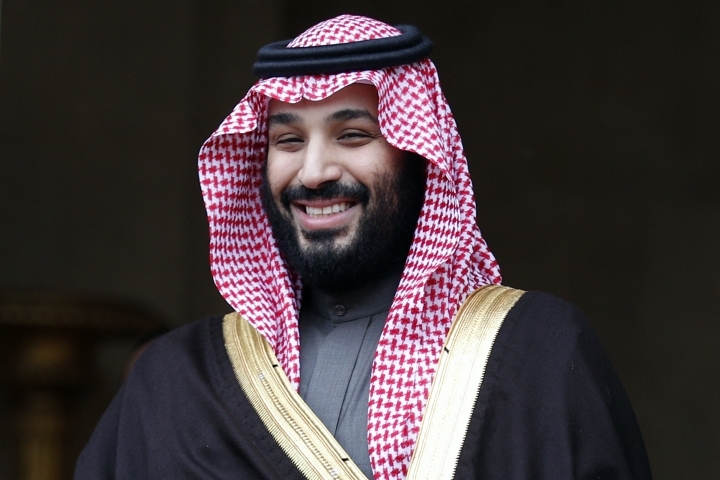 Similarly, Prince Mohammed wowed the business world with promises of having an initial public offering of the state oil behemoth Saudi Arabian Oil Co., or Saudi Aramco as it's known, suggesting it would have a $2 trillion valuation. He hosted a major business summit at Riyadh's Ritz Carlton, complete with a humanoid robot named Sophia getting Saudi citizenship. Only weeks later, the Ritz Carlton would turn into a luxury prison as part of a mass arrest of businessmen, royals and others orchestrated by Prince Mohammed in what was described as targeting corruption. Those released agreed to sign over some of their assets, giving the crackdown the feel of a shakedown. Meanwhile, the Saudi-led war in Yemen grinds on with its years-long stalemate, its toll on civilians in the Arab world's poorest country unending. In the United Arab Emirates on Monday, an influential Emirati official named Ali Rashid al-Nuaimi reportedly told youth gathered for a summit in Abu Dhabi that "our enemies have partnered with media organizations who have reported that the UAE has a prison camp and is committing human rights abuses in Yemen." The Associated Press has reported on secret prisons in Yemen run by UAE-backed forces where detainees faced physical and sexual abuse, as well as how Emirati forces cut secret deals with al-Qaida militants to get them to abandon territory. "If the worst-case scenario is realized, Saudi Arabia will have links to the murder of a vocal critic in a fashion engineered to create just enough doubt for the veneer of implausible-but-sufficient deniability," the New York-based Soufan Center said Tuesday. "It also sends and unequivocal signal to other journalists who dare to criticize the regime." But even before now, some like Khashoggi had put themselves in self-exile abroad. If the worst is confirmed about the journalist's fate, that may push even more critics underground and leave fewer still willing to speak frankly about the kingdom. As Khashoggi wrote in his first column in the Post: "That is how breathtakingly fast you can fall out of favor with Saudi Arabia." EDITOR'S NOTE — Jon Gambrell, acting Gulf news director for The Associated Press, has reported from each of the Gulf Cooperation Council countries, Iran and other locations across the world since joining the AP in 2006. Follow him on Twitter at www.twitter.com/jongambrellap . His work can be found at http://apne.ws/2galNpz .